If you want to know an opening, you should understand its typical positional ideas and plans. It is also good to remember variations. But this is not enough. You should also know the typical tactical motifs or your opening. This trio of strategy, variations and tactics forms a conscious and subconscious image in the mind and helps you to find the right moves. The Grünfeld Defense is an active opening, which often leads to sharp, double-edged play, and tense tactical fights. If you want to know an opening, you should understand its typical positional ideas and plans. It is also good to remember variations. But this is not enough. You should also know the typical tactical motifs or your opening. This trio of strategy, variations and tactics forms a conscious and subconscious image in the mind and helps you to find the right moves. The Grünfeld Defense is an active opening, which often leads to sharp, double-edged play, and tense tactical fights. Therefore the tactical part of the Grünfeld-image is extremely important and should be steadily developed. The most effective, timeproven way to develop tactical abilities, imagination, and the ability to calculate variations, is practice. 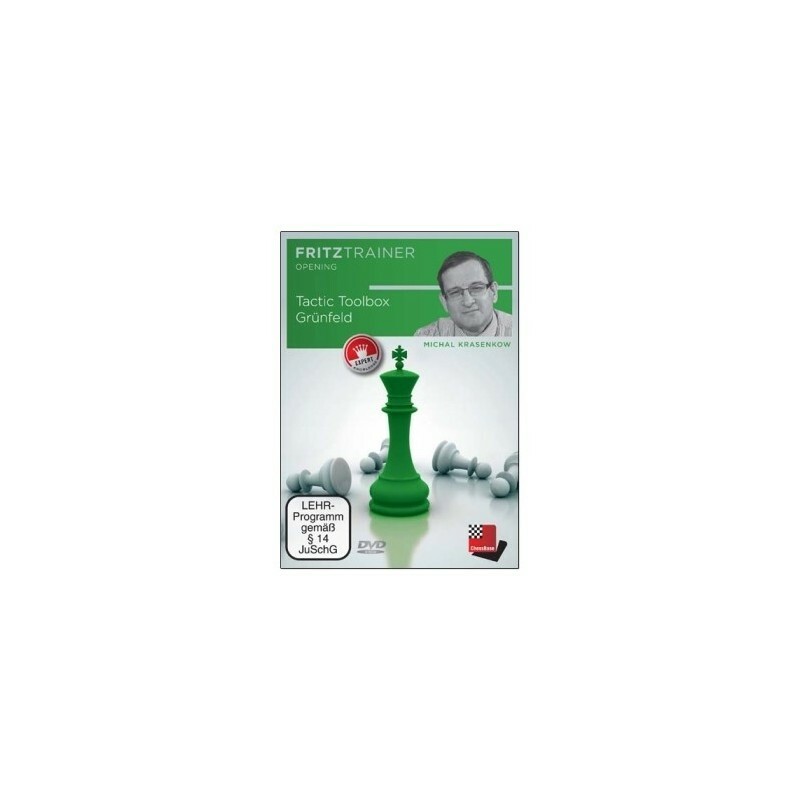 Poets say, “No day without a line”, aspiring chessplayers should say “No day without tactical exercise”. 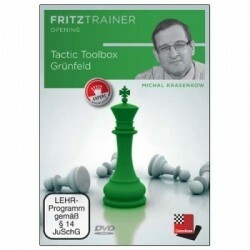 The 70 exercises on this DVD are taken from grandmaster games and show tactical ideas that are typical for the Grünfeld. The positions are arranged according to difficulty, starting with easy positions, in which the solution is almost “lying on the surface”, and ending with positions, in which even top GMs had problems to find the right move at the board (but try yourself and enjoy the beauty of hidden “chess jewels”). You will not be disappointed! Especially suitable for strong club players!